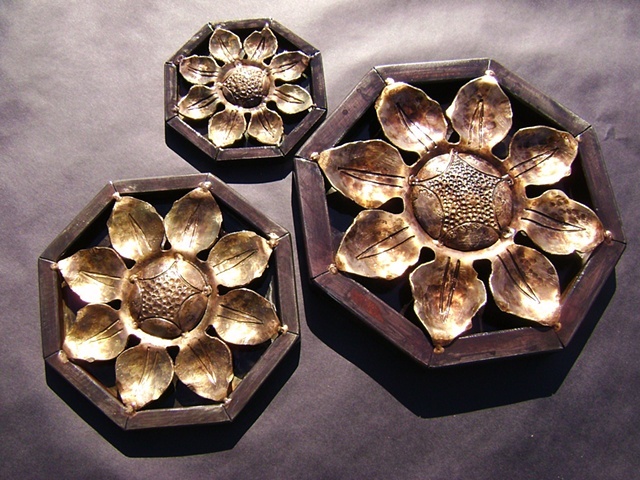 These tiles are hand forged from sheet bronze. The inspiration for this project was a photo the client took in Italy of a stone carving (next image). These tiles became accents for a kitchen tiling project.